Innovative company what3words (@what3words) offers the world a really simple way to talk about location. They’ve divided the entire globe into a grid of 3m x 3m squares and given each square a unique three-word address. This system enables anyone, anywhere to easily identify and share their precise location. The main goal of this campaign was to raise awareness of the what3words technology being integrated into Mercedes-Benz vehicles. They ran an awareness campaign and chose to optimize the performance for “reach with engagement” to ensure their campaign was exposed to more of their target audience while preserving the engagement rate. Using a combination of location, keyword, and handle targeting they aimed to reach an urban, affluent audience. As well as running a Twitter Ads campaign, what3words made good use of organic Tweets. This enabled them to amplify their impact. They live Tweeted quotes and images and engaged in conversation on Twitter during the event, and afterwards they created a highlight video which they pinned to the top of their timeline. 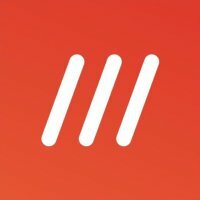 Data from Twitter Ads Manager was leveraged by what3words to enhance their creative and targeting techniques. They tested the ad copy, images, video, timing, and targeting of seven individual tweets to see which components gave them the results they wanted. The what3words campaign was centered around a specific event. To maximize the opportunity they took a three-phase approach with different objectives. First, they created anticipation ahead of the live launch event. Then, they encouraged interaction during the event. Finally, they focused on driving website visits after the event. They prepared content for the various stages well in advance and combined this with responsive, live activity. Because of this approach the what3words team was able to adjust their budget at each stage and carefully control the campaign delivery. Increase brand awareness by getting as many people to see your Tweet as possible. How to create the perfect Tweet to take advantage of an engaged audience during a live event. Effective methods and tips to help you measure brand awareness.